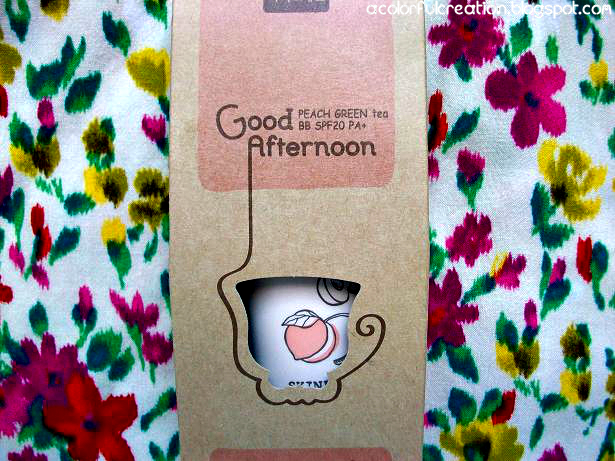 I think the packaging is adorable! It really does remind me of a tea box. What it claims it does: "A long-lasting BB cream that helps maintain bright morning skin throughout the day without darkening or smudging." - Each time I open the tube to use it there would be some running oily liquid that came out. Maybe is wasn't mixed well? I don't know. 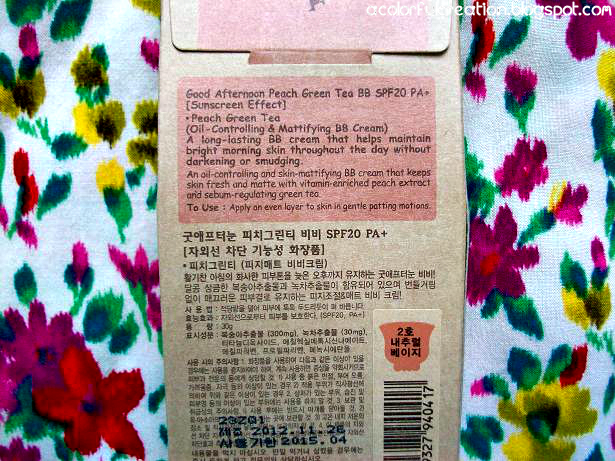 My experience: I applied this using my hands (as I always do) I loved the way this smells it smells like the name, peach green tea. The texture of the BB cream was liquidity like a regular liquid foundation would be. On the face it felt really nice and light weight I didn't even know I was wearing makeup! It concealed pretty well but I would still use some regular conceal under my eyes. This BB cream lasted throughout most of my day out which would be about 8-10 hours. My only problem was that it didn't control the oiliness on my nose which is kind of a bummer because that's what this BB cream it targeted for. But I did enjoy this BB cream! Would I recommend this to someone? 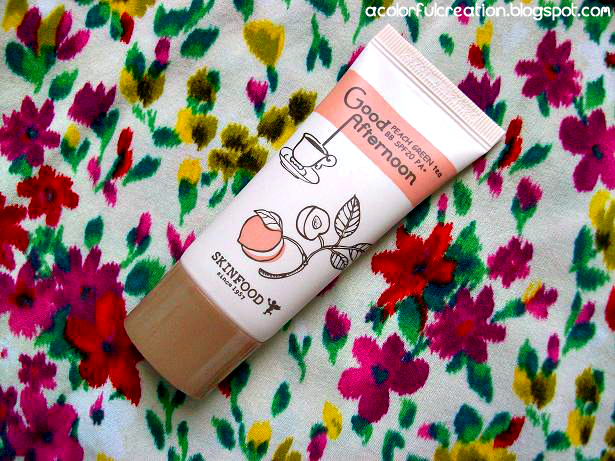 Overall, I liked this BB cream but since it didn't do what it was formulated to do I would not recommend this BB cream. 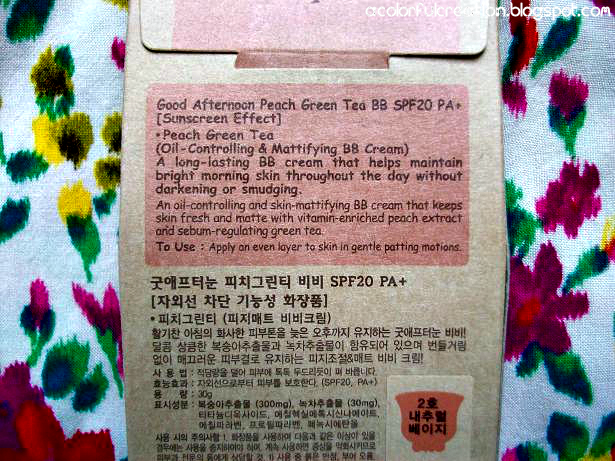 I actually heard that there is another BB cream in the Good Afternoon line that it suppose to be better at controlling oil then this one, should I try that one next? 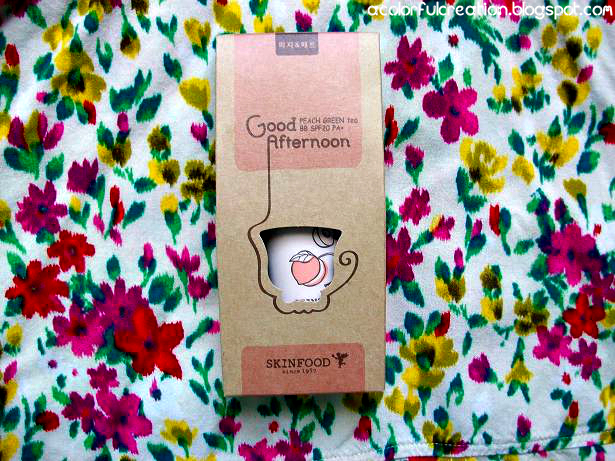 You can buy the Skinfood Good Afternoon Peach Green Tea BB Cream here. 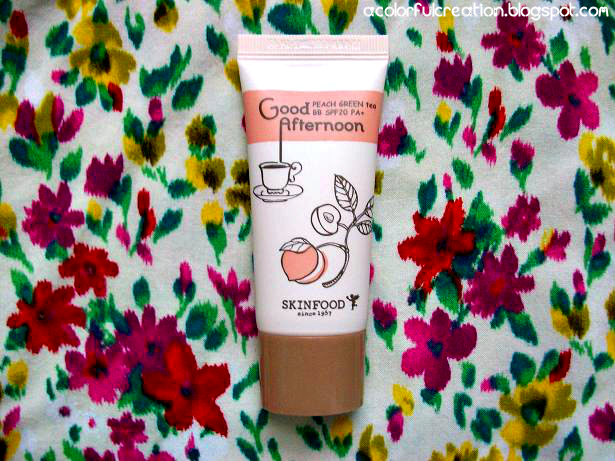 Have you guys used tried any of the Skinfood Good Afternoon BB creams?